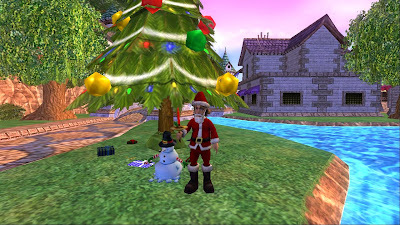 I am very sorry for missing another blog post yesterday, I have been very busy this month and haven't really had time for posts or Wizard101. I am glad I do get to post Christmas songs for you to listen to. I will try my best to post the Christmas songs this week though- since it is Christmas week! - Who's ready for Christmas?! I can't wait until Sunday. Well here are the songs for today, and I am sorry I didn't get to post the thing I wanted to share with you all today, I will try to do that on Christmas Eve or Christmas Day..
Christmas Wrapping- Sent in by Luke Goldhorn- one word in there is bad, just ignore it. Anyways, Enjoy! Shake up Christmas- I do not own this video- This is another one of my favorite holiday songs, I am sure most of you have heard it on the Coca Cola commercial from last year :) Enjoy! Having trouble finding some Christmas songs, send in some that haven't been on a blog post yet. I really would appreciate that along with many others that are listening to the Christmas songs :) Thank you! 1. Reach 200 followers- That's a lot of followers from now, but before I reached 100 followers, I always said I couldn't reach 100 followers on my blog, until I set a goal for myself, and I finally did! 2. Improve on posting more blog posts- Lately I haven't been posting much blog posts, and I really want to reach my next goal. 3. Reach 500 posts on my blog- right now I have 321 blog posts including this one, so this will be an easier goal. 4. Reach all 3 goals before the end of next year- The 3 goals above might seem like a lot, though I am going to keep these goals even if I don't reach them. If I don't I will still be glad that I set the goals for myself and my blog! - This is a house that I found on the internet that had a light show! I think its very cool and I wanted all of you all to see. It plays with Amazing Grace. I think you all will like it, some may have already seen it since it has over 4 million views. Anyways, enjoy, and I don't own this video! It has to take forever to decorate and program the lights to do that. It would take me years to try to do that! I am glad they put it on youtube to show everyone that its possible though :D You should click on the video's link to view it in a full version, so you can see everything. 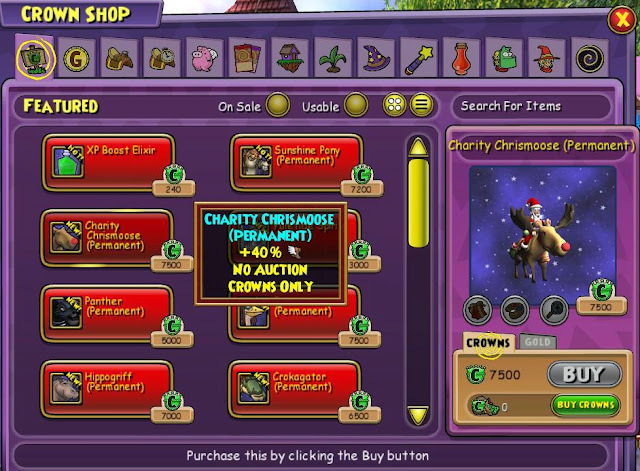 Of course I am trying to advertise this because its very cool that there is actually a place where you can get gifts that you want from Wizard101! I really want a wizard101 hoodie for Christmas! I think this is very cool that there are actually wizard101 items. Once you get there, there will be a lot of items to choose from if you are planning on buying something from the Zazzle store. I know most of you may have heard of it, but some of the newer players may not know about it, that's why I decided to make a blog post about it :) I am thinking about the ice hoodie, I bet that would be really cool to wear! Maybe that will make it snow more often this Winter like it did today. This video is almost 3 years old! It was made December 8th, 2008. I don't own this video. I chose this song since Felix Navidad was released in Wizard101 today! I am very glad he was because I am ready to redo my blog to make it look more like a Christmas blog :) Oh and here is a photo I took from today in front of the Christmas tree on Wizard101! Here is the song- I don't own this video! This video lasts almost 9 minutes, so hopefully you can listen to it all :) It sounds very good! Justin- Deathywiz commented below and told me about this song, I hope you like it too!